Great NORTHERN ESTATE home located ON A CORNOR LOT. MY FAVORITE AREA OF THIS HOME IS THE COVERED BACK PORCH, VERY NICE SHED AND FENCED IN BACK YARD. FUN AREA FOR GRILLING OUT ON SUMMER NIGHTS!! 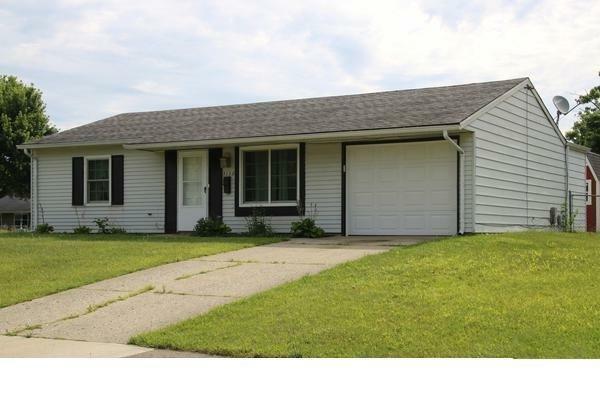 THIS HOME COULD BE A 2 OR 3 BEDROOM HOME OR 2 BEDROOM HOME WITH AN OFFICE. THE WINDOWS ARE 3 YEARS OLD AND THEY SHINE LIKE A MILLION BUCKS. NEWER FURNACE 2014, SHED,GARAGE DOOR AND OPENER 2017, BLOWN IN INSULATION IN THE ATTIC 2018. GARAGE DOOR HAS KEY PAD ENTRY. Directions: Providence To North On Vineyard.